ALFA is proud to welcome new National Commercial Supplier member, Australian Innovative Systems (AIS). AIS is a multi-award winning, Australian owned leader in the design, production and supply of water hygiene technologies. 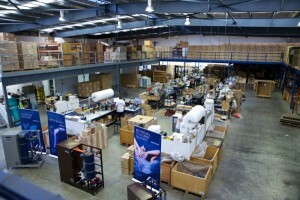 All research, development and manufacturing takes place at our own production facilities in Brisbane, Australia. Extensively experienced in serving international customers, AIS has proudly exported to over 55 countries around the world. Our mission is to create safe, economical and versatile products to protect humans and habitats against waterborne pathogens and the transmission of infectious disease. All of our brands – AutoChlor™, EcoLine™, MineralChlor™ and ChloroGen™ – are equipped with electrochemical cells featuring Genuine AIS Anodes™. These innovative technologies are designed to disinfect everything from the most saline of sea water to groundwater, town water or even waste water. Simple, affordable and reliable, AIS delivers outstanding results in water hygiene and halts the endless cycle of dosing and maintaining fresh supplies of liquid or granular chlorine[i]. AIS is also helping to lower the amount of hazardous chemicals transported each day on public roads and highways and can assist with Occupational Health and Safety requirements in some locations. As industrial expansion and population growth continue unabated, AIS’s vision is that the Earth’s fixed supply of water remains clean and healthy forever despite ever greater contact with people and human activity. Thousands of families swim, play and relax in backyard pools protected by AIS’s residential systems every single day. Millions of litres of water in community pools, aquatic centres for competitive swimming and training, luxurious hotel and spa pools, water features, resort lagoons and gigantic water parks remain healthy and sparkling clean thanks to AIS leisure industry technology. Our commercial systems are also ideal for aquaculture, horticulture, agriculture, utility water, industrial waste, chemical production, mining, cooling towers and offshore marine facilities. AIS’s technicians and skilled workers bring together a diverse range of expertise in micro-electronics, chemistry, power systems, electrical and mechanical engineering, water system design, assembly, metalworking and plumbing as well as taking pride in high standards of customer service and support. AIS has received a wide range of accolades including a Gold Gaia Award, Telstra Business Innovation Award, International Stevie Award for Most Innovative Company, Australian Technology Showcase and Business Ideas Grants. Minister for Tourism, Major Events, Small Business and the Commonwealth Games, Jann Stuckey will be taking part in an ‘access all areas’ tour of Brisbane water disinfection technology manufacturer, Australian Innovative Systems (AIS) on Tuesday 24 June. AIS designs, produces and manufactures chlorine generators for commercial and residential use. 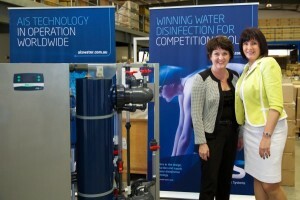 Ms Stuckey will be personally inspecting examples of the innovative water disinfection systems that will be keeping the water clean and safe at the Gold Coast Aquatic Centre (GCAC) – one of the aquatic venues for the 2014 Pan Pacific Swimming Championships and the Gold Coast 2018 Commonwealth Games. AIS Chief Executive Officer, Elena Gosse will show Ms Stuckey the company’s award winning AutoChlor™ and EcoLine™ chlorination systems which will operate in three of the swimming pools at the GCAC. The GCAC is currently under refurbishment until September 2014 and is one of seven recreational and competition aquatic centres operated by the City of Gold Coast’s Council. Ms Stuckey said that she was pleased that a local company such as AIS was producing technology of such a world class standard. 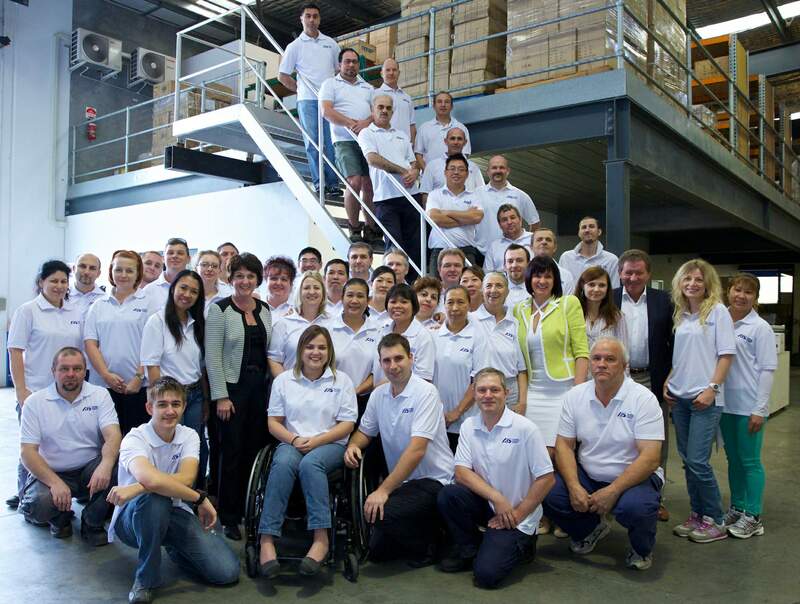 The company, which has been in business for over 20 years is 100% Queensland owned and operated and employs over 60 staff. “This is a perfect example of innovative, locally designed and manufactured technology holding its own on the world stage, Ms Stuckey said. AIS CEO, Ms Gosse said that the company was honoured to have its technology specified for the GAC project by highly respected aquatic engineer, Paul Stevenson of Stevenson + Associates. For the pools that the AIS technology will be operating in, the GAC can bid farewell to transporting, storing and dosing chlorine. “One of the major benefits of our water disinfection systems is that chlorine is produced automatically, onsite and inline via a process known as electrolysis. This means that commercial facilities can stop the endless and hazardous cycle of chlorine transportation, storage and dosing. AIS is the major sponsor of the first World Aquatic Health Conference (WAHC) to be held in Australia. The conference takes place on 17th and 18th July in conjunction with the Splash Pool & Spa Trade Expo http://www.splashexpo.com.au at Jupiters Hotel and Casino, Gold Coast, Queensland. AIS is committed to ongoing industry education regarding water disinfection and is proud to be associated with both events. The WAHC will explore a range of topics including: Preventing Recreational Water Illness; Risk Management; Disinfection Byproducts in Swimming Pools; Legislation; National Qualifications in the Swimming Pool Industry; and other relevant industry subjects. Elena Gosse will also briefly address the conference. As a special offer to AIS invitees you will receive a $50 discount on registration. Simply enter the code ‘AIS’ at time of registration. EARLY BIRD SPECIAL. $395 + GST before 30th June 2014 or $495 + GST thereafter (Government and Student registrations $250 + GST). 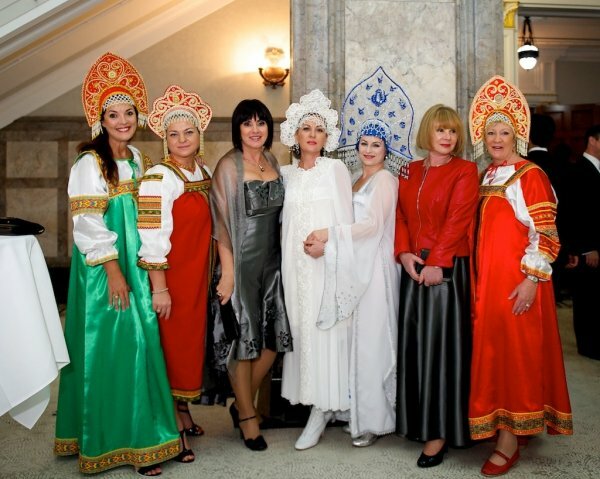 The AIS Team looks forward to seeing you at WAHC & Splash 2014.